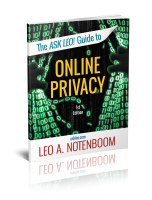 Ask Leo! #672 – Why Do Password-strength Meters Give Different Results? When password strength meters disagree (and what to do instead). Also: when to say yes to UAC. From a user's perspective, however, it's not that fascinating at all. In fact, it's downright frustrating. One of the best examples of that frustration is the scenario you outline: one sites' “great” password might be considered horribly insecure by another. What's a user to do? My recommendation? Create strong passwords that don't need a password-strength meter at all. Ask different IT pros about the best way to generate a strong password, and you'll get about as many different answers as people you ask. There's no agreement on what makes a password-creation technique both safe and easy enough to use. Complexity: the more random the password's characters, whatever they might be, the better. Memorability: regardless of length, diversity, or complexity, if you can't remember it, it's not helpful. I'm sure you've seen the “top X worst password” lists that appear every year or so. That's the result of analyzing those databases. It's also just the tip of the information iceberg. For example: the research shows that simply replacing some letters in your favorite password with similarly formed letters doesn't add much security to an otherwise bad password. “Password” is a bad password, but “P4ssw0rd” is no better. If you jump around with capitalization, or maybe add a special character or two to the end, you're still no better off. “Password” is still bad, and “pAsSWoRd22” really doesn't help much at all. Trying to improve a password by making it harder to guess is almost bound to fail. Not because hackers will guess it, but because they've already seen your method being used in massive collections of stolen passwords. Remember, hackers are researchers too. If there's something even a few people do to obfuscate their passwords, hackers probably know about it. As we've seen, researchers (and hackers doing their own research) often use huge databases of hacked passwords — passwords that people actually use. Sometimes there's no “research” involved: they just try them all. If your password has been used even once, anywhere that has suffered a breach, it may be in one of these massive databases. It doesn't matter how complex or secure it may be. It could still be part of the hacker's future attempts on other services. With all the different ways hackers can figure out passwords, it's really no surprise that strength meters might not take every single approach into consideration. The result is that, depending on your proposed password and the approaches that a particular strength meter might look for, the same password may pass as “secure” on some meters, or fail as “easy to crack” on others. And that's also why I can't point you to a single password-strength meter I would consider “the best”, because I don't know what approaches they take into account, and what approaches they overlook. But we can also learn something about passwords from everything we've discovered so far. Yes, it'll require that you use a password vault, since those passwords fail the “memorable” test. As I've said many times, using password-management software is safer than not using it, specifically because it allows you to use these super-strong random passwords. It'll even help you create them. I rarely pay attention to password-strength meters, and I certainly don't go looking for them. Instead, I let LastPass generate 20-character completely random passwords for me. Here's an example: z9UBwPn7kDUMCe4SKjEh. Related Links & Comments: Why Do Password-strength Meters Give Different Results? 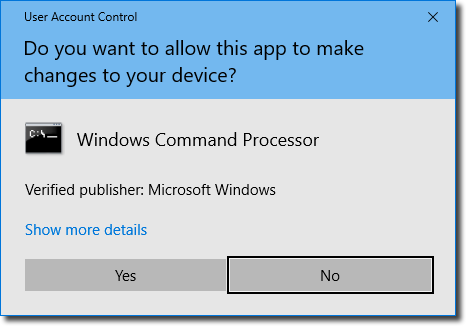 When Is It Safe to Say "Yes" to User Account Control (UAC) Notifications? What you're seeing is Windows' “User Account Control”, or UAC. The basic premise is that before software does anything that could potentially install malicious software or otherwise harm your computer, the system asks you first. The knee-jerk reaction is, “If you're not sure, say no”. The problem is, there are most definitely times and situations where “Yes” is the correct answer. Continue Reading: When Is It Safe to Say "Yes" to User Account Control (UAC) Notifications? Tip of the Day: Use More Power! Tip of the Day: Who Owns that Website?